Personally I'd knock points off for the quality of their marker pens, but other than that, you've got to hand it to Amelie's nursery. 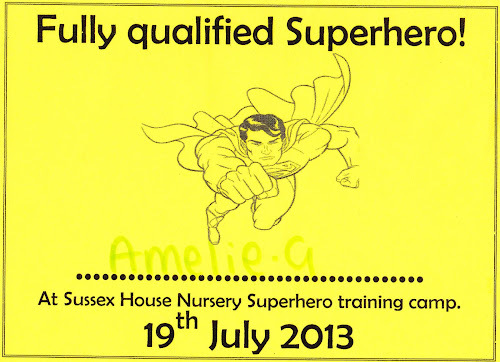 It's not every pre-school that can turn out fully qualified superheroes. 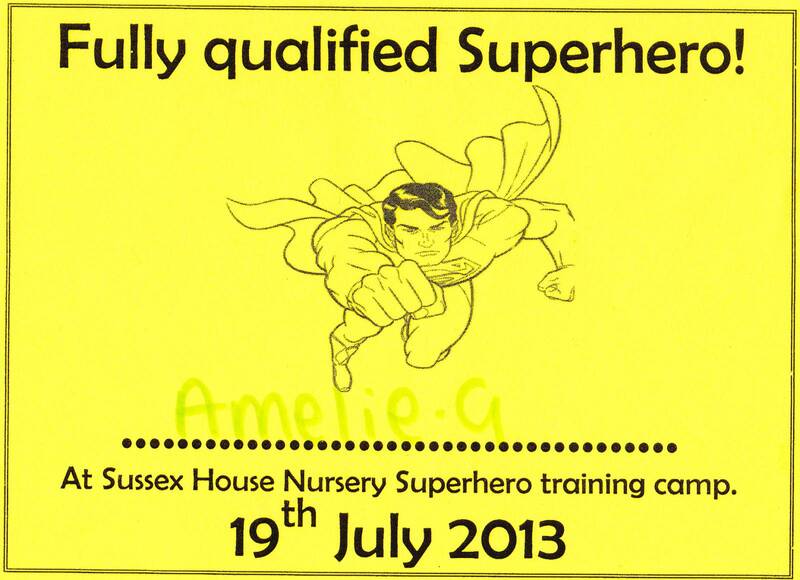 Prior to yesterday, Amelie was a lot more Barry Scott than Alan Scott, but after ninety minutes at the Sussex House training camp, she's now fully certified in all things heroic, and able to leap tall buildings in a single bound. But only if she's attached to a bungee rope. Amelie doesn't usually go to nursery on a Friday, but fortunately the superheroes who organised the event said that she could attend if Lisa went with her. So at 3:20pm yesterday afternoon, Lisa arrived at the nursery with Amelie in a bat suit and Toby in a buggy. Which was annoying, as I'd been looking out for them since three. By coincidence, I was working upstairs from the nursery all afternoon, with grandstand views of the training camp, and by the time Tardy Woman & Slow Coach rolled into town, I'd already wasted twenty minutes of my day. It was worth the wait though. The nursery staff had thrown themselves headfirst into the spirit of the thing, and dressed up as superheroes themselves, which demonstrates why we nominated them for a Hospital Star Award. Anyone who's willing to go to work dressed as Wonder Woman deserves some kind of prize. Unfortunately, this year's winners were announced last week, and the pre-school ladies didn't win. Their category of 'Team of the Year' went to the Trevor Mann Baby Unit, which is staffed by a few superheroes too. Anyhoo, Amelie had an enjoyable afternoon running around in the searing heat, dressed entirely in black, but as for today, we've split the childcare right down the middle, strictly along gender lines. Lisa's taken Amelie for the day, and I've got my son and heir. So while Lisa prepared to take her daughter into town this morning for some school plimsolls, I prepared Toby's breakfast, and then packed him into the car for a trip to Asda. He fell asleep halfway through the weekly shop, with his forehead resting on the handle of the trolley, which I was quite happy about, until he awoke at the checkout and sat up with a big red mark above his eyebrows. 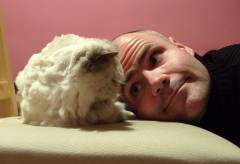 The assistant looked at me as though I'd whacked him in the face with a hammer. You should see him at the dentist. He's like Rustie Lee on nitrous oxide. I wonder how it is that one loves ticklish things as a child, but hate being tickled as an adult?